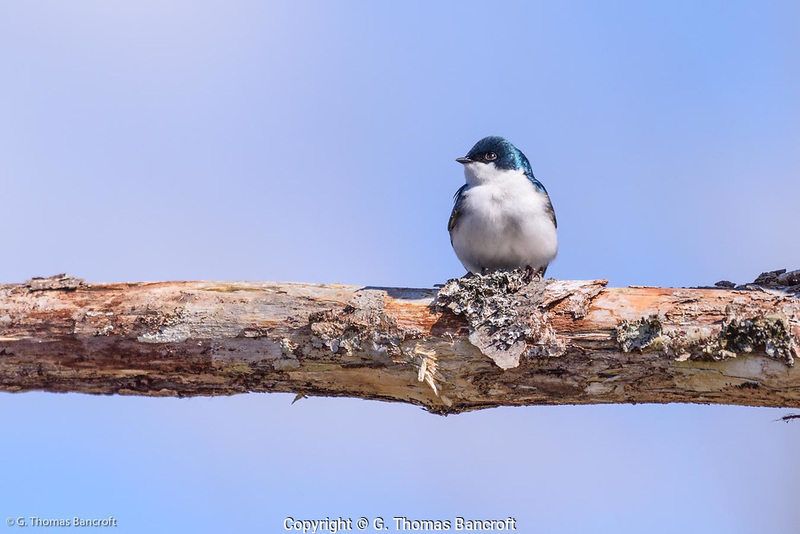 A tree swallow sits crosswise on a dead branch. The blue-green feathers of its head glisten in the sun and its white breast feathers so their shoft texture. These insectivorous birds use keen eye-sight to catch flying insects. often foraging over wetlands.